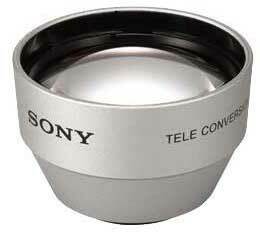 Bring your viewers into the action with Sony’s VCL2025S telephoto conversion lens. Designed for use with compatible 25mm lens Handycam camcorders, it provides a 2.0X zoom for detailed close-ups and long distance shots. For shooting in bright situations a lens hood is included to help eliminate lens flares. Built to last, the VCL2030X features a three group, three element design constructed of durable ABS plastic and glass materials. The included carrying pouch and front and rear lens caps help protect the lens while off of the camcorder.